PFLUGERVILLE, Texas — Some Pflugerville parents are worried the school buses are getting too crowded. 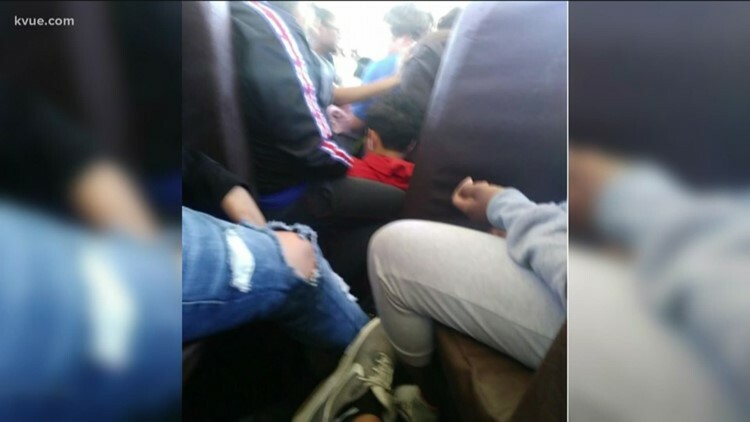 Parents said students have been sitting on the floor of the buses on the ride home and they want the issue dealt with immediately. Crystle Oakley said this is a safety concern. Her son goes to Cele Middle School and he told her students are walking over each other trying to get off the bus, and it seems this is happening at several schools in the district. Oakley's son took photos on his ride home. 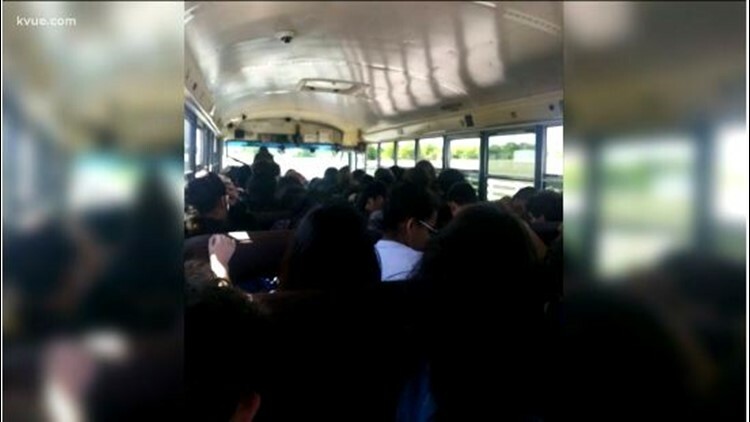 The photos show a very overcrowded bus and students sitting on the floor. Oakley said students are asked to sit three to a seat. Some simply don't fit and are having to sit on each other's laps. Her son came home last week saying there are not enough school buses. So, she took her concerns to Facebook and other parents said they're also having problems with these buses. But after speaking with the school, she doesn't believe enough is being done to fix it. But most of all she's concerned about her son's safety. “If there was an accident or anything they’re tossed into the floor, other children are tossed on top of other children and they’re not able to get off the bus because the emergency exits are all blocked," said Oakley. Pflugerville ISD sent us a statement saying, "We are aware of the complaint and have contacted Durham School Services, our outside transportation vendor, to verify the situation and see what steps are being taken to ensure the safety of our students when on Durham’s buses." Durham did send a letter to parents Wednesday night, saying it's experiencing an "unprecedented driver shortage" and is having to combine many routes. Pflugerville ISD is expected to start using its own buses next school year. Until then, some parents are telling their children to call 911. Oakley said she'll be driving her son to school.